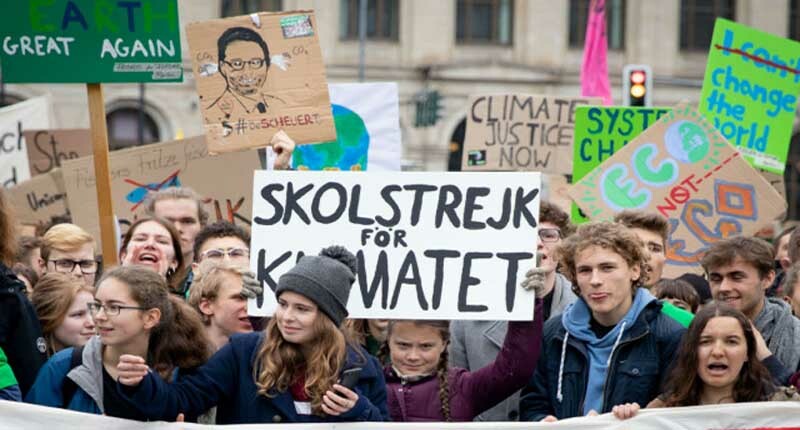 More than 20,000 German teens went on strike from school on Friday, joining Swedish teen activist Greta Thunberg as she took her protest against climate change to Berlin, ARY reported on Saturday, 29 March. 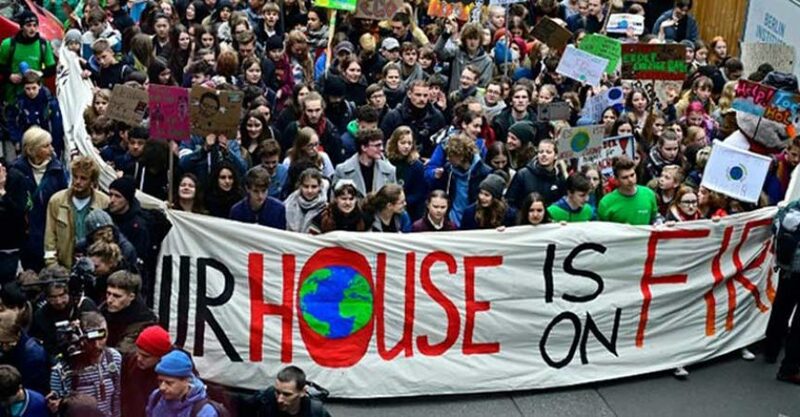 Armed with homemade posters bearing slogans like It’s getting hot in here or Our house is on fire or You’re never too small to make a difference, the teenagers packed into central Berlin to sound the alarm about global warming. From a park in front of the economy ministry, they marched to the Brandenburg Gate, where Thunberg addressed the crowd. We should worry, we should panic, Thunberg said, adding that people should step out of their comfort zone and change their behavior. We want a future, is that too much to ask? “She promised that the fight will go on”. We haven’t seen anything yet. This is only the beginning of the beginning, said Thunberg, to cheers from the crowd. Organisers had expected to draw around 15,000 marchers, but a police officer in charge of the operation said that more than 20,000 had turned up. Vowing to keep the protests going until there is tangible change, Franziska Wessel, one of the Berlin organizers, vowed – We’re going to continue skipping classes every Friday because we can’t keep going like that with the climate. We have to pull the emergency brakes.